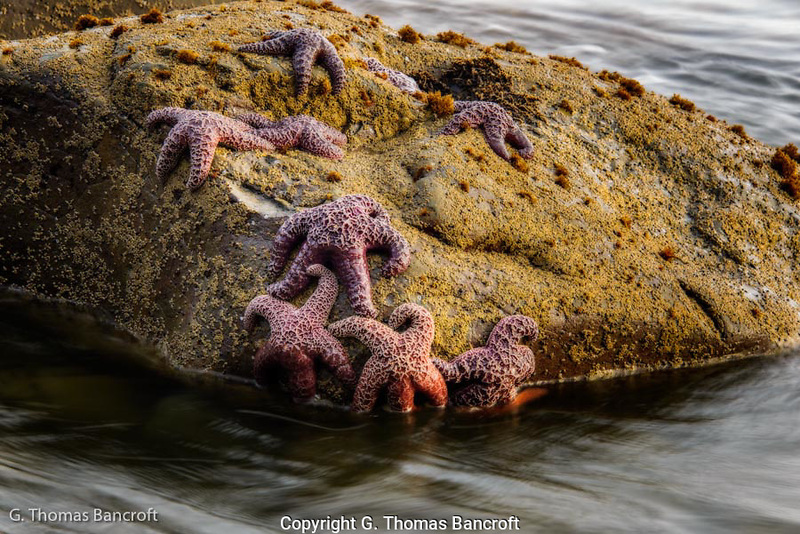 As the tide fell, the ochr sea stars became exposed and easily seen. Their tube feet held them tight to the rock as the waves crashed across them. I sat down on a rock to take the picture as close as I could to their level. Each wave kept the bottom three wet and put spray on the rest. The afternoon light made them glow.